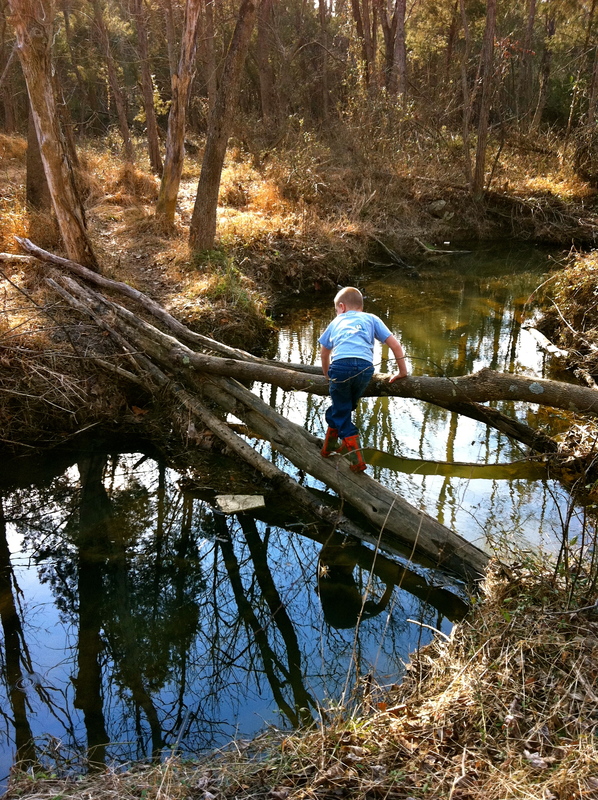 Creekside Learning | Homeschooling. Naturally. 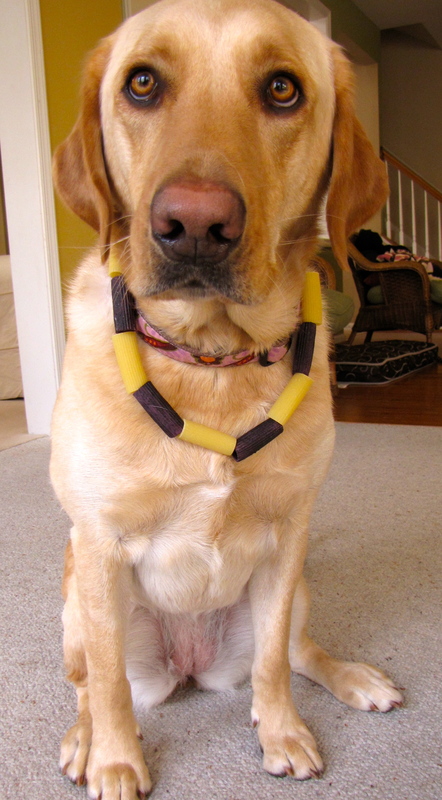 Our model, The Creekside Dog, modeling a fashionable Phoenician pasta necklace. The Phoenicians used a certain type of snail from the sea, in a particularly stinky process, to extract minute amounts of purple dye. 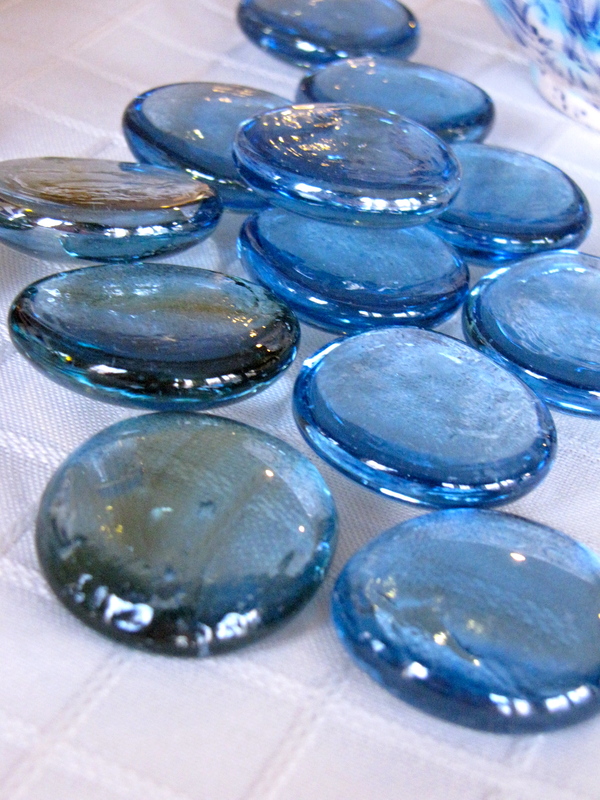 The dye was used to color fabric, usually made into clothing for royalty, since the dye was quite expensive. We decided to do a modern day version of this project using blueberries, following the directions in the Story of the World Activity Guide. 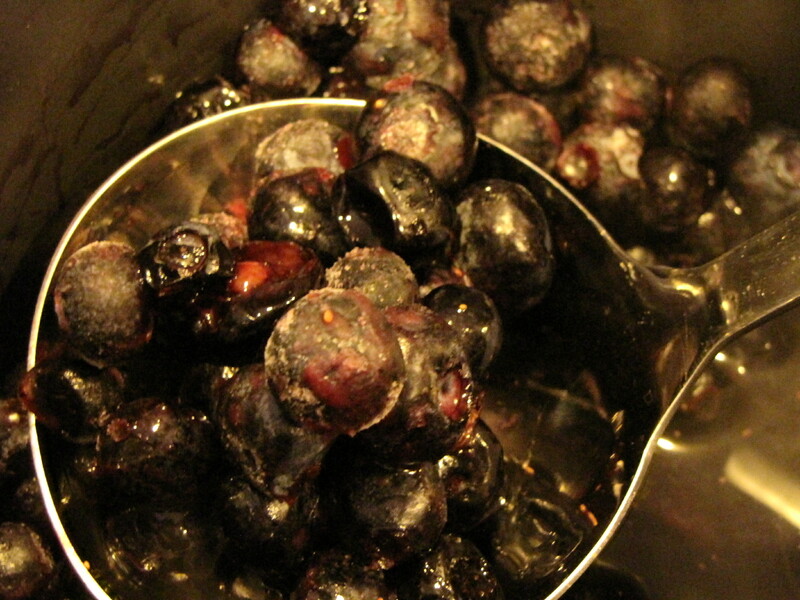 A bag of frozen blueberries yielded about a half a cup of dye after we strained out the berry skins. We dunked white yarn into the dye, as well as a dozen large pasta noodles. 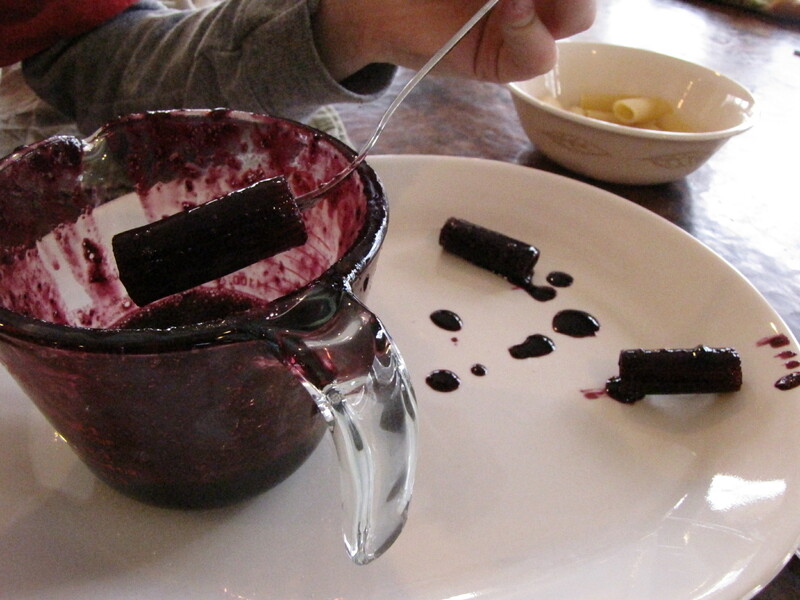 Even though each item was only in the dye for a few seconds, everything turned a very dark purple, almost black. 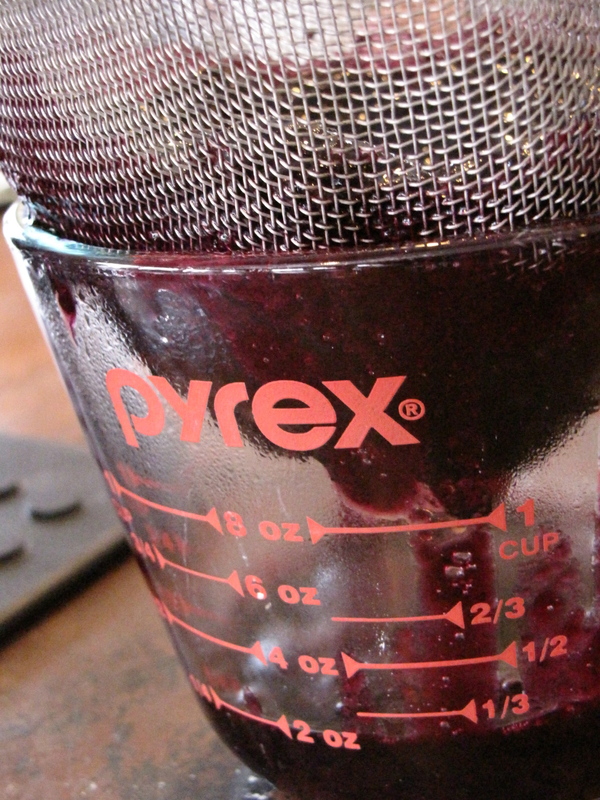 The yarn was very stiff and had bits of dried blueberry on it so we decided to wash it. The end result was a pretty lavender colored yarn with a sort of tie-dye effect. Note: do not attempt to rinse the pasta, even quickly. We immediately lost a few pieces to breakage. 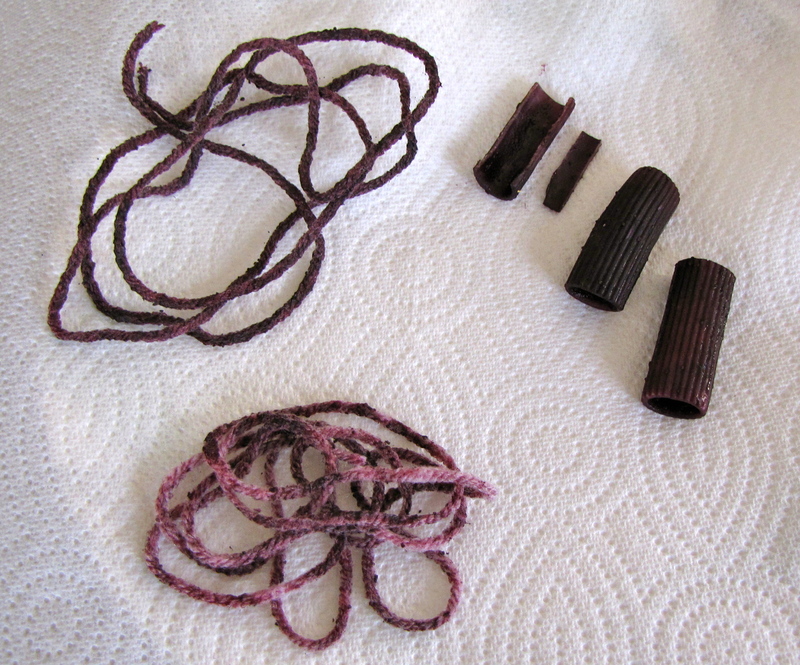 Dunking dried pasta into the dye. Yarn at top of photo is prior to rinsing with water. Yarn at bottom is after rinsing. Broken and unbroken pasta. 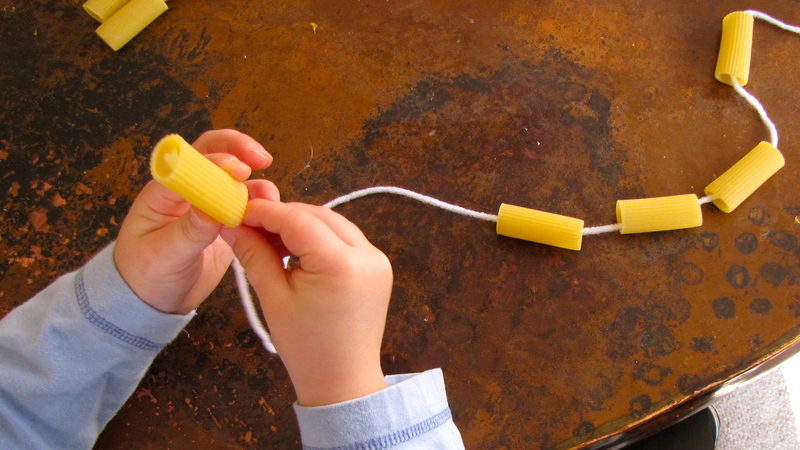 Stringing the pasta onto the yarn. 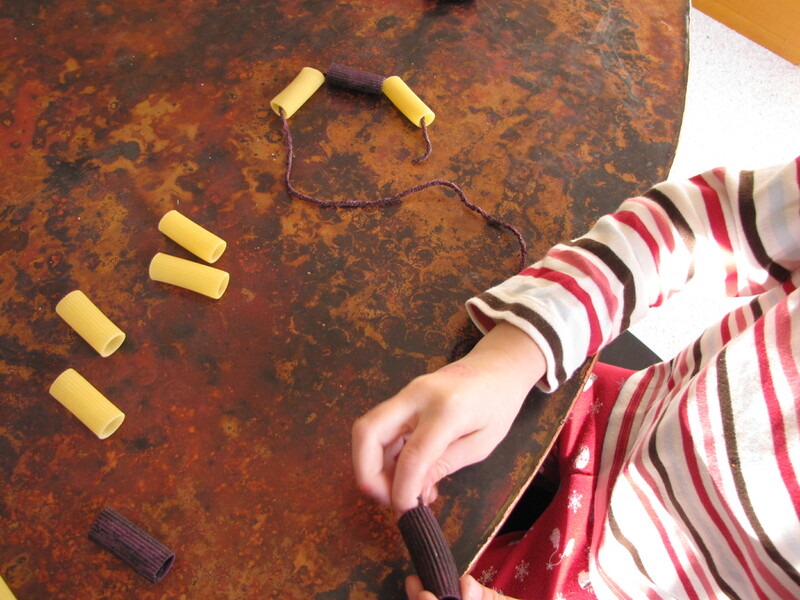 We interspersed dyed pasta with undyed to make longer necklaces and patterns. Fine motor practice for my 3 year old. 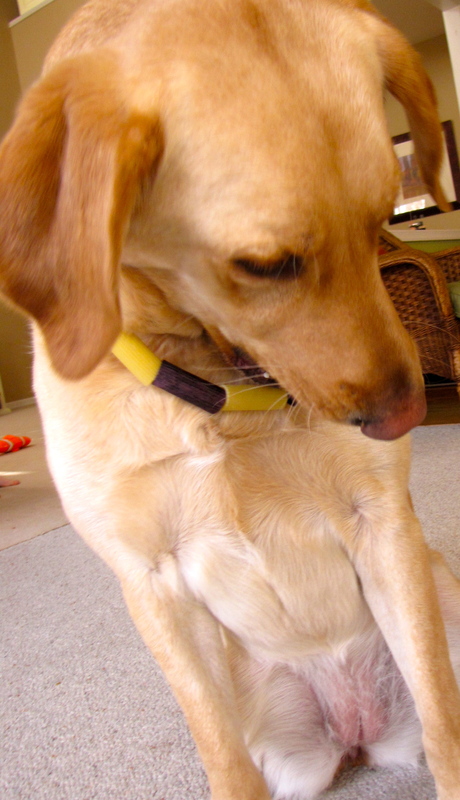 And here is our model, trying to eat one of our fashionable necklaces. In fact, she spent the better part of our school day, sneaking up on the kids from underneath tables and around corners and trying to nibble on the necklaces they were wearing. Silly pup. 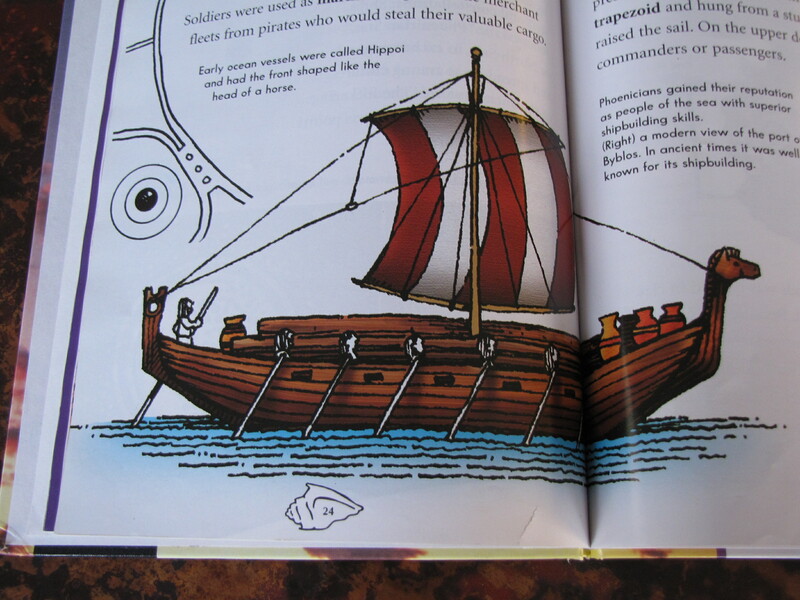 You can also read about our other ancient Phoenician project, making a ship and playing the Phoenician Trading Game. You can see all of our ancient history projects here. 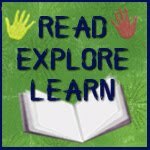 Follow Creekside Learning on Facebook. Next up in our ancient history studies is Ancient Phoenicia (Chapter 15 in Story of the World, if you’re following along). The ancient Phoenicians lived in Canaan, what is now modern day Lebanon. They were accomplished traders for their time, sailing their boats around the coasts of the Mediterranean Sea, establishing settlements and trading goods such as salt, dyed cloth, cedar wood, clay jugs for wine, glass, horses and more. 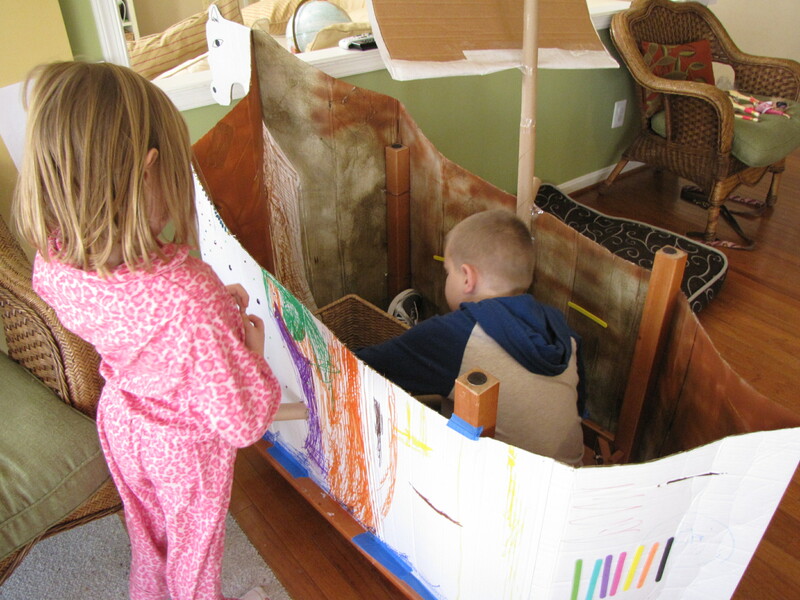 The Creek Kids had a great time making and playing with our Phoenician Ship. and playing a Phoenician Trading Game. 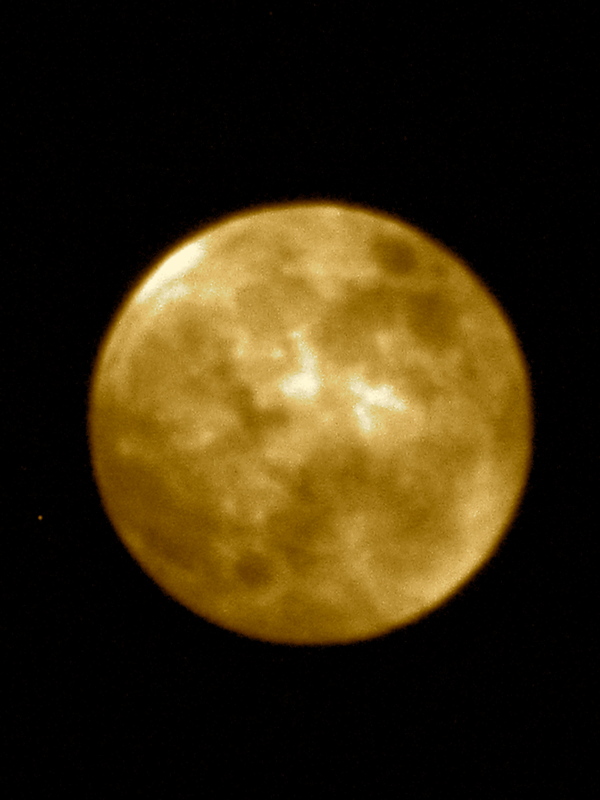 For this, we had some help from my niece, Night Owl, who is in her senior year of college as an art major. 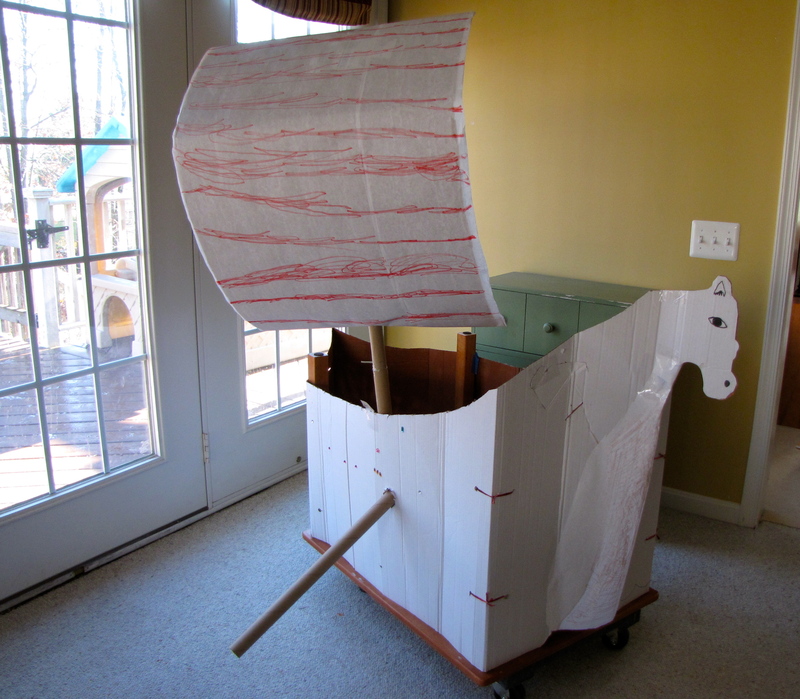 This is a major advantage when you need someone to fashion you a Phoenician ship out of stuff you have just lying around the house. 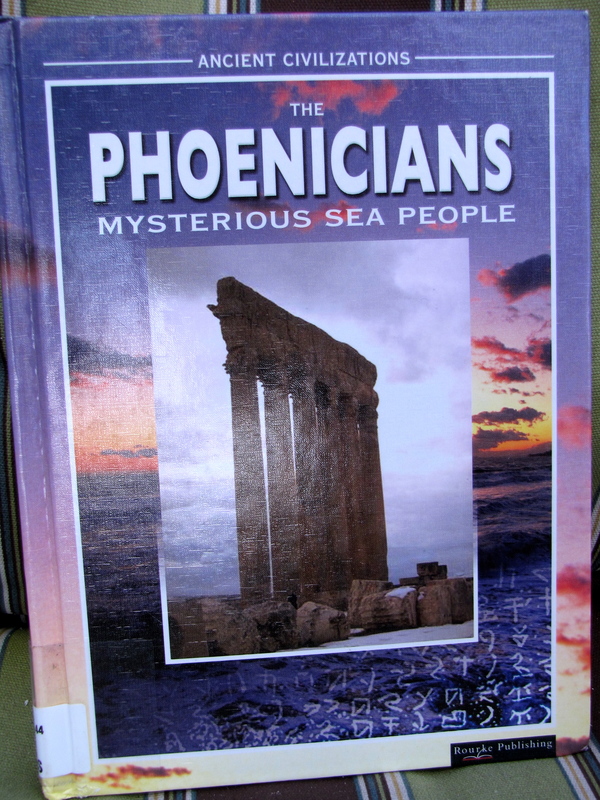 This is from the book The Phoenicians: Mysterious Sea People, by Katherine E. Reece. Night Owl made our ship from a large piece of upcycled cardboard, trimmed to look like a ship with the head of a horse at it’s bow. 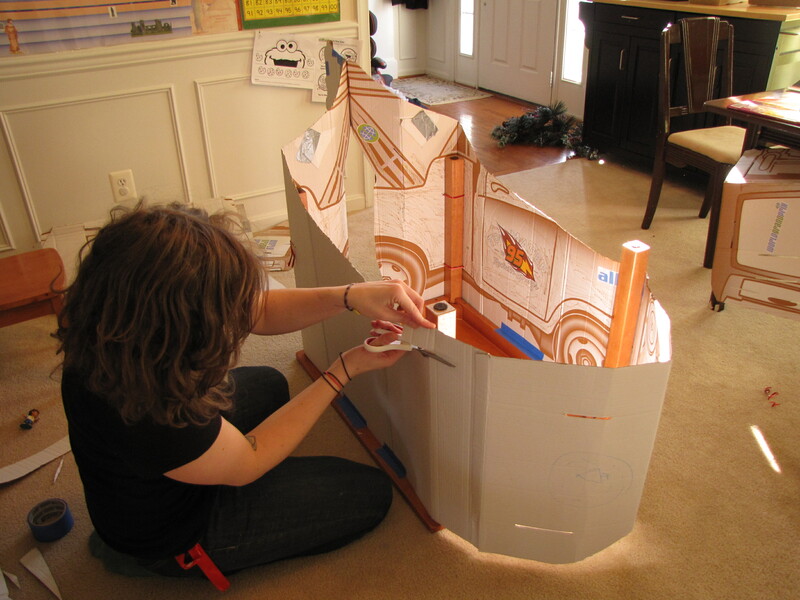 She turned a kid-size wooden table upside down, wrapped the cardboard around it and fastened it with a combination of string tied to the table legs and packing tape/painters tape to hold the cardboard to the upturned table. Night Owl and Firefly painted the inside of the ship, covering up the original writing/pictures that were on the cardboard. The Queen Bee decorated the outside of our ship with markers and bejeweled stickers (why not?). 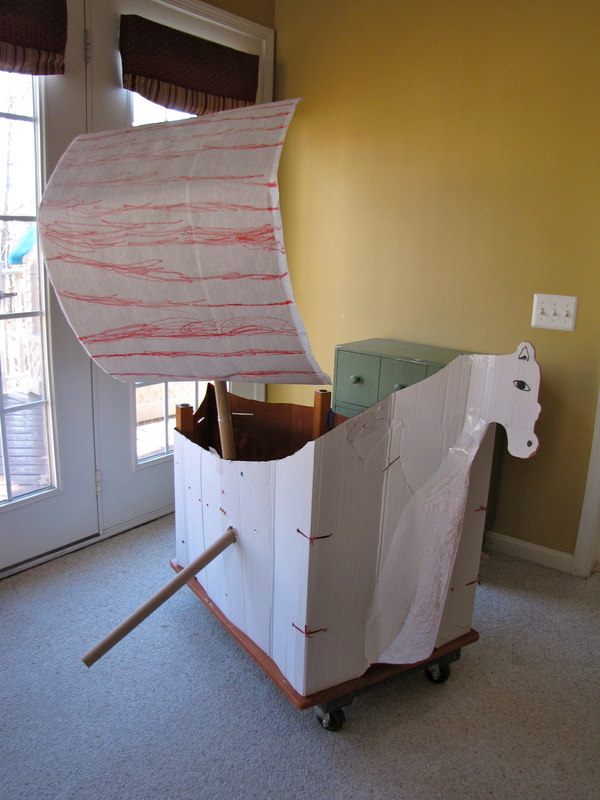 They made a sail out of paper-covered cardboard, attached to a mast made of an empty wrapping paper roll. 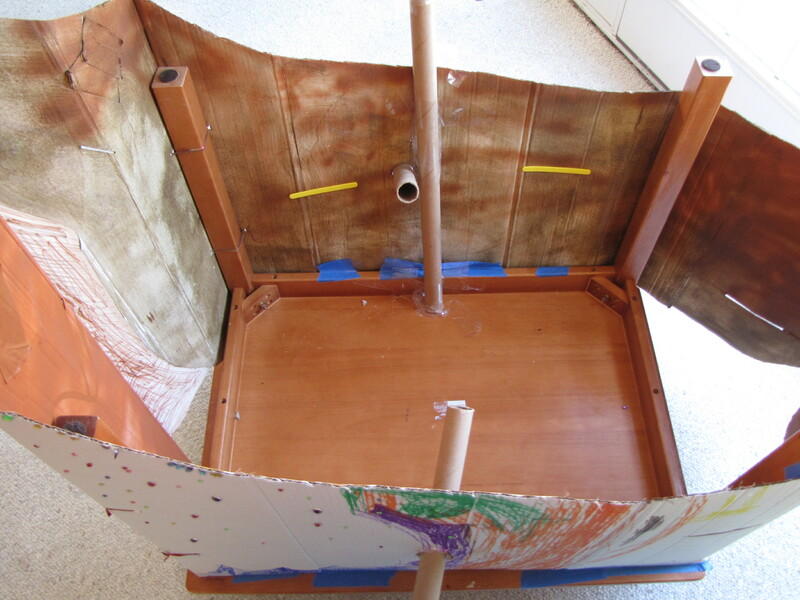 Two more wrapping paper rolls served as the oars, poking out of holes made in the sides of the ship. Lastly, we placed the completed ship on top of a wheeled dolly. 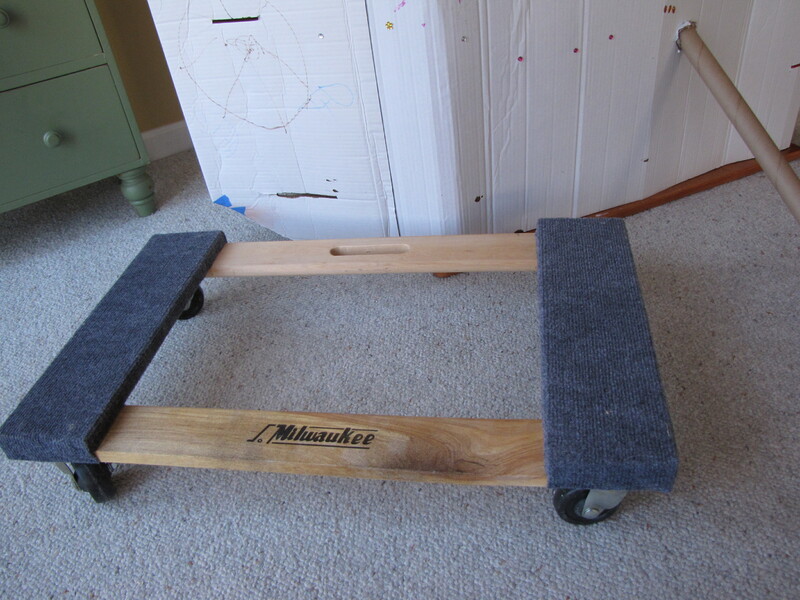 This enabled us to push it easily on the wood floor of our kitchen. 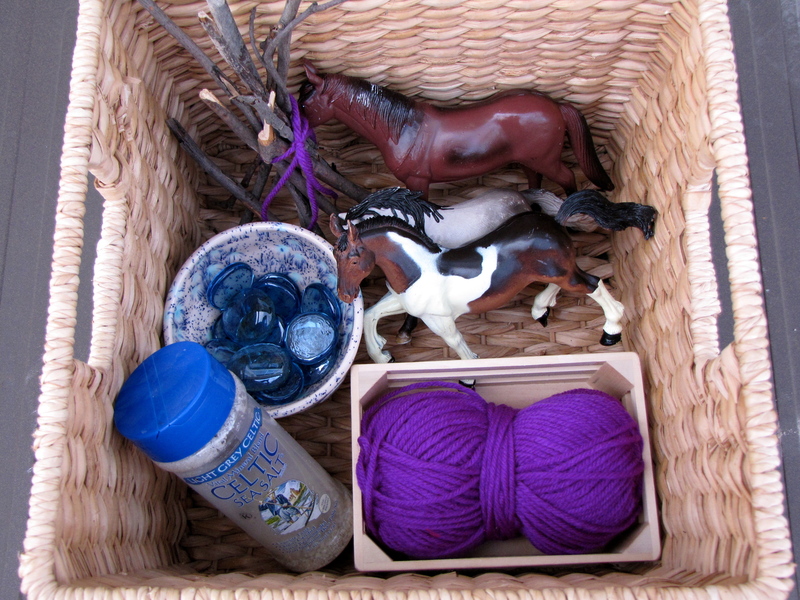 Trading supplies, clockwise from top left: Cedar trees (sticks), horses, purple dyed cloth (purple yarn), salt, glass (flat glass beads) in clay bowl. The kids took turns sailing the boat from port to port (we hung signs with the name of each country around the kitchen) and working in the ports. I explained the idea behind trading: Each person shows the other what they have to trade and then they agree on how much of one item they will exchange for another. We had looked at the area extensively on the map and globe so they would have a visual picture of what we were re-creating. 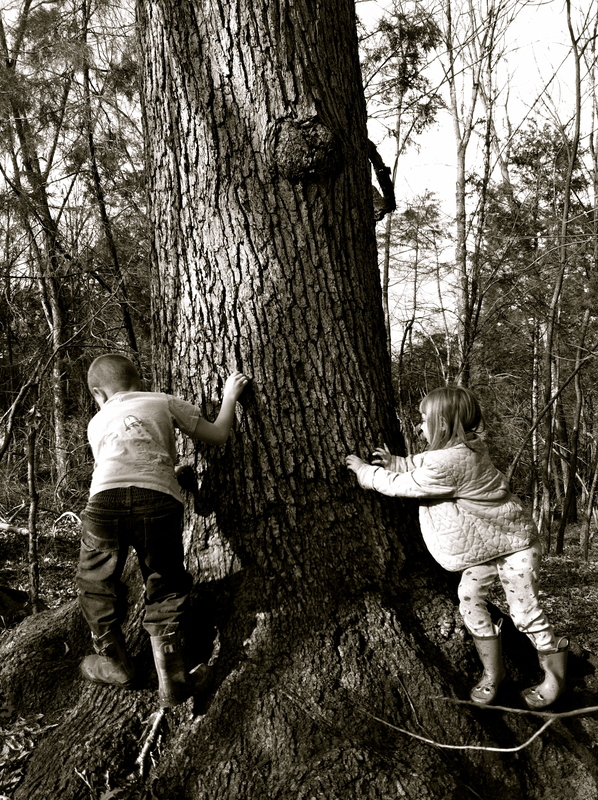 They loved this game. I thought they would all want to be in the boat the whole time but it turned out that they all loved working in the “ports” and trading their goods to each other. 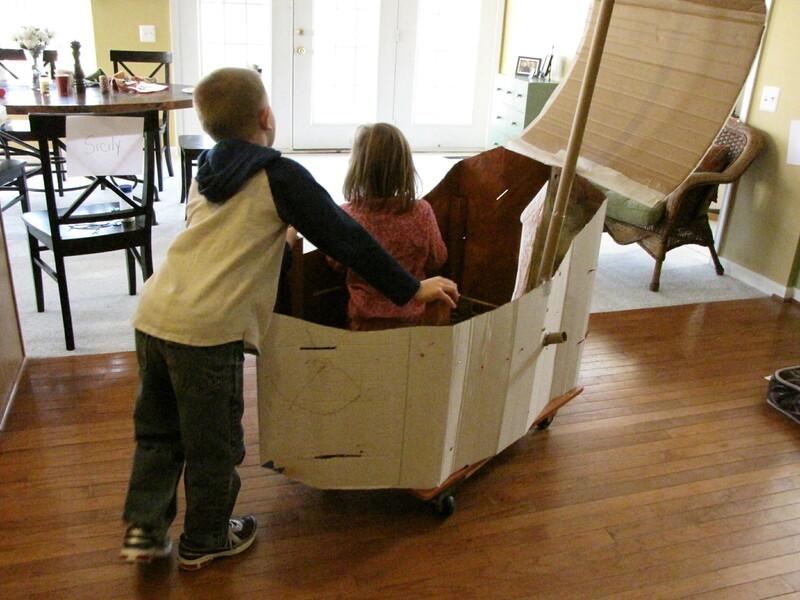 We’ll be saving the cardboard shell of the ship and it’s mast and sail for future projects. Maybe we can modify it when we study Vikings? I so want to get outside every day this winter, unless its ridiculously cold. Each year I say this. I say I’ll bundle the kids up, go out for a half an hour, and we’ll run around to keep warm and we’ll play. Truthfully, the kids would probably go for it, but I always chicken out. This year I thought maybe I could do 15 minutes. But on day 1 of my plan, it was super cold and windy. Amy, a homeschooling momma with far more experience that I, advised that we spend our 15 minutes looking out the window and noticing things, then drink hot chocolate. I am pretty sure she is a Naturalist at an actual Nature Center so I considered this very sound professional advice and we did just that. And wouldn’t you know it, as we gazed out, it started to snow. Tons of flakes swirling around in the wind, sticking to everything in sight. “I feel like I’m in a snow globe, Mommy!”, Firefly said smiling, looking out the window and up at the sky. Little birds scurried around on the ground underneath the feeders. It was just us and those few little birds and the swirling, rushing snow. 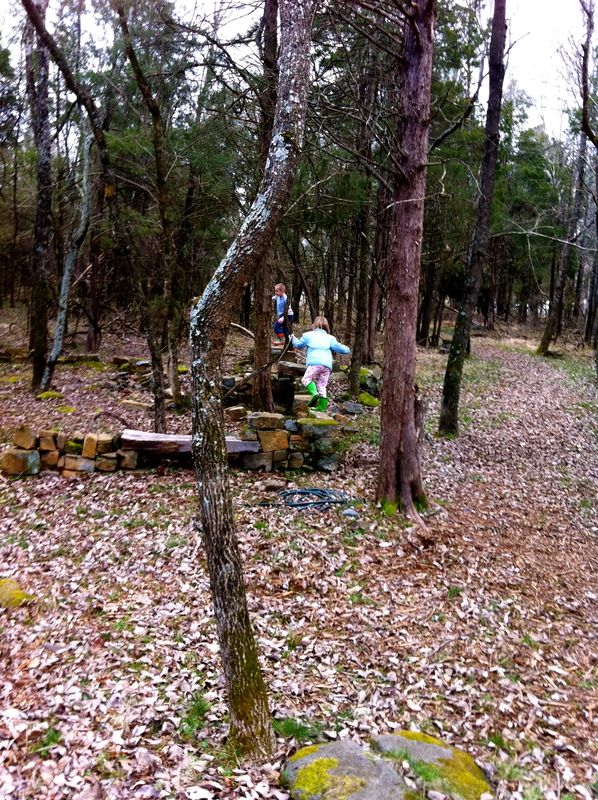 Hot chocolate forgotten, kids and dog darted out the front door and ran around in the front yard. They were back in a flash for coats and mittens, then out again. Then just as quickly as it had begun, it was gone. Wind swooshed in and blew the snowflakes around. Landing on what must’ve been warmer streets, patios, and earth, they disappeared. We retreated back inside. For two, maybe three days. I lost count. A new place for us. So much to explore. 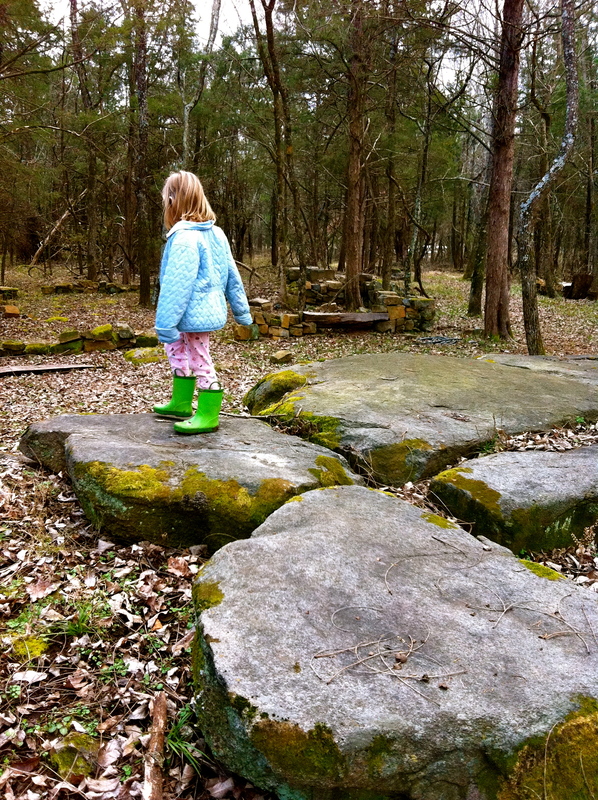 Full of new rocks to climb, new paths to take, little fish swimming in the water, and so much more. They didn’t want to leave. 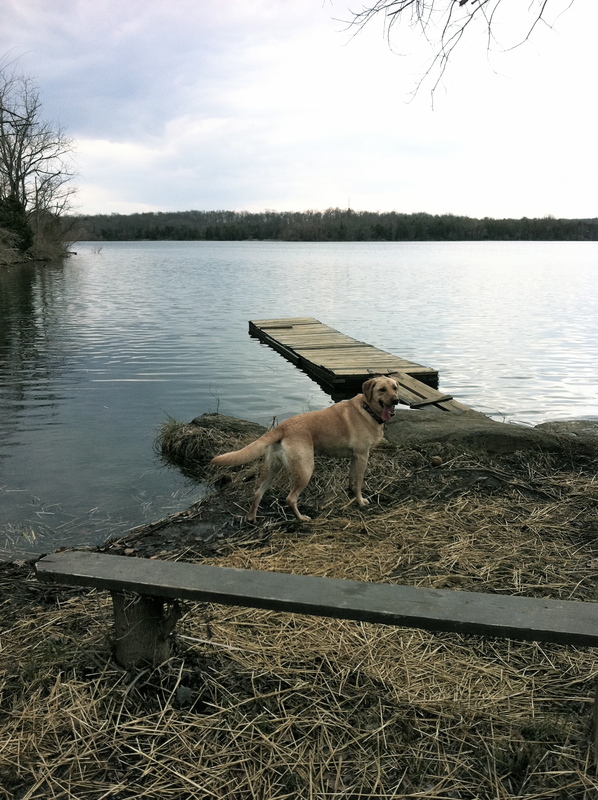 Here’s the dog just before she ran out onto an even longer dock and flung herself into the water. She’s sleeping now, beside me as I type, all curled up and smelling of wet, happy dog. I feel so grateful for these two warm, unseasonable days. Maybe the key to getting out in the winter is to just get as much as we can, when we can, and let it sustain us for those cold, cold days. Hmmmm, I don’t know. We’ll keep at it and let you know how it goes. 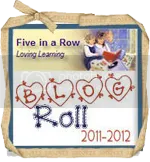 We love the book Chrysanthemum, by Kevin Henkes and we just did a week of fun activities to go along with this terrific book. 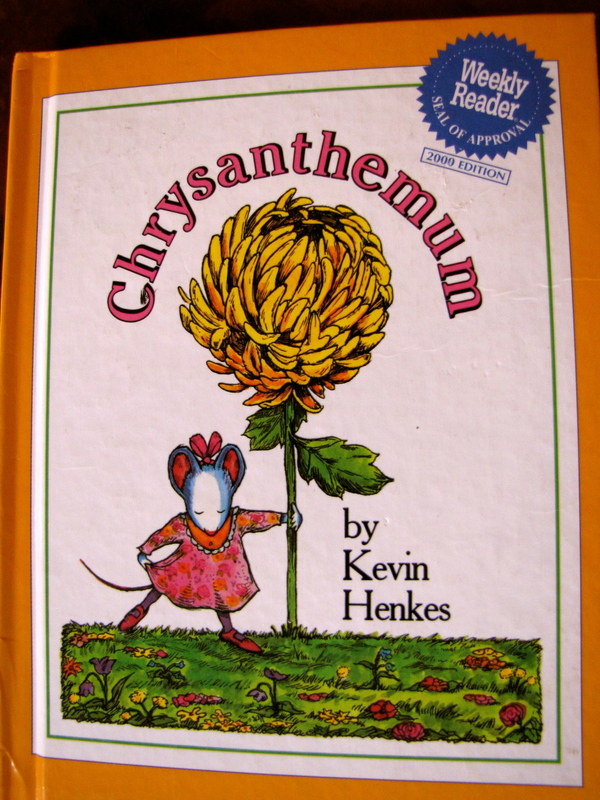 Chrysanthemum is a mouse who grows up loving her unique name—until she goes to school. The other mice tease her for having such a long and unusual name. That is, until they meet their music teacher, who has a fantastic and flowery name of her own. 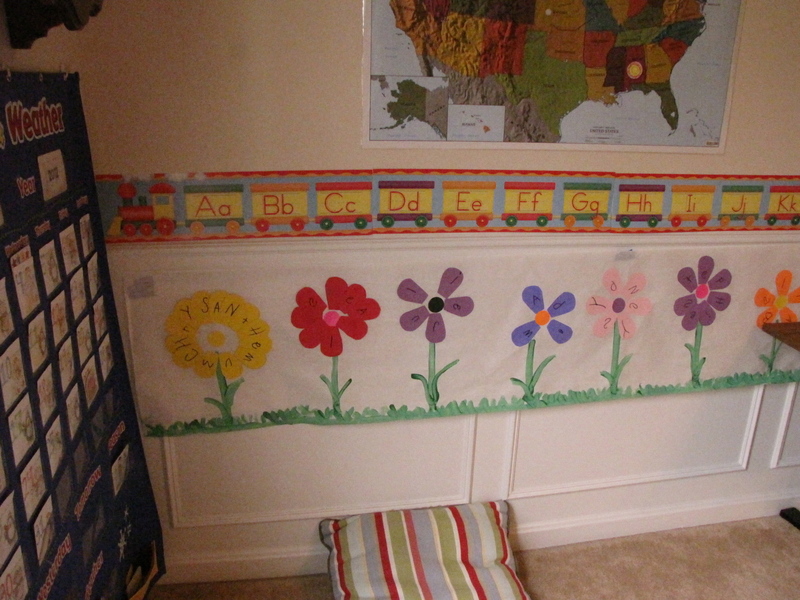 First, we made a Flower Garden of Names. Starting with Chrysanthemum, then adding the names of friends and family members. 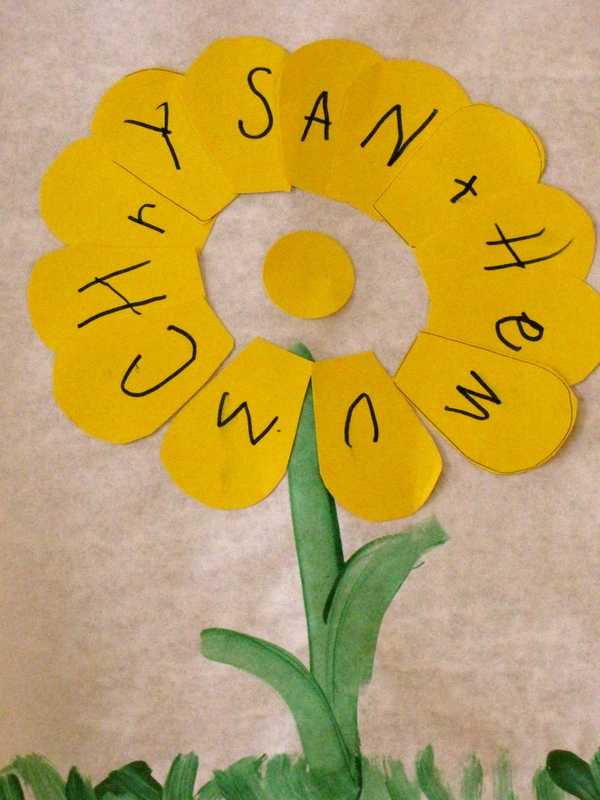 I wrote the names of Chrysanthemum, plus many of our family and friends’ names on strips of paper. 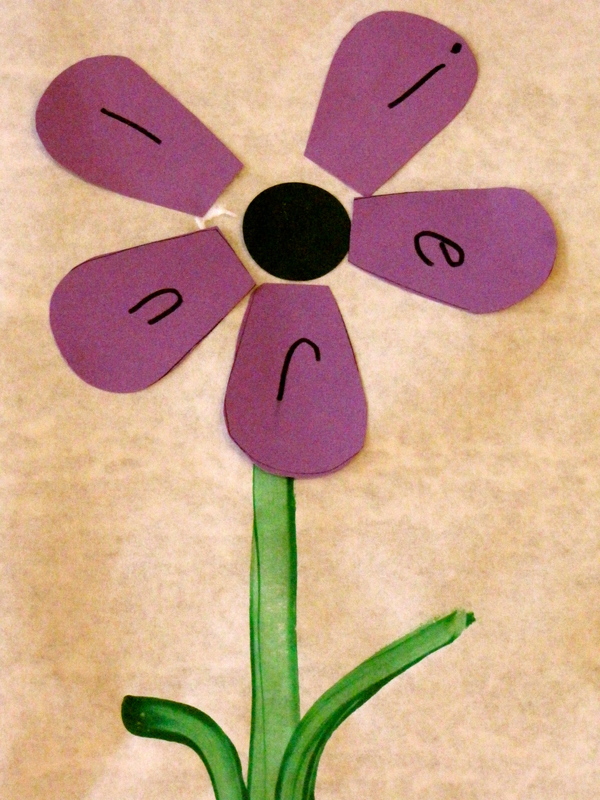 My 5 year old, The Queen Bee, copied one letter on each petal, then I helped her glue them onto a long sheet of white butcher paper, on which I’d pre-painted stems and grass. I drew a simple flower petal template and traced it onto a sheet of white paper, then photocopied it onto different colored cardstock. The flower centers are from a one inch circle punch, found in any craft store’s scrapbooking section (Oh-so-many uses for the one inch circle punch. I’ve actually worn one out and am on my second one.). 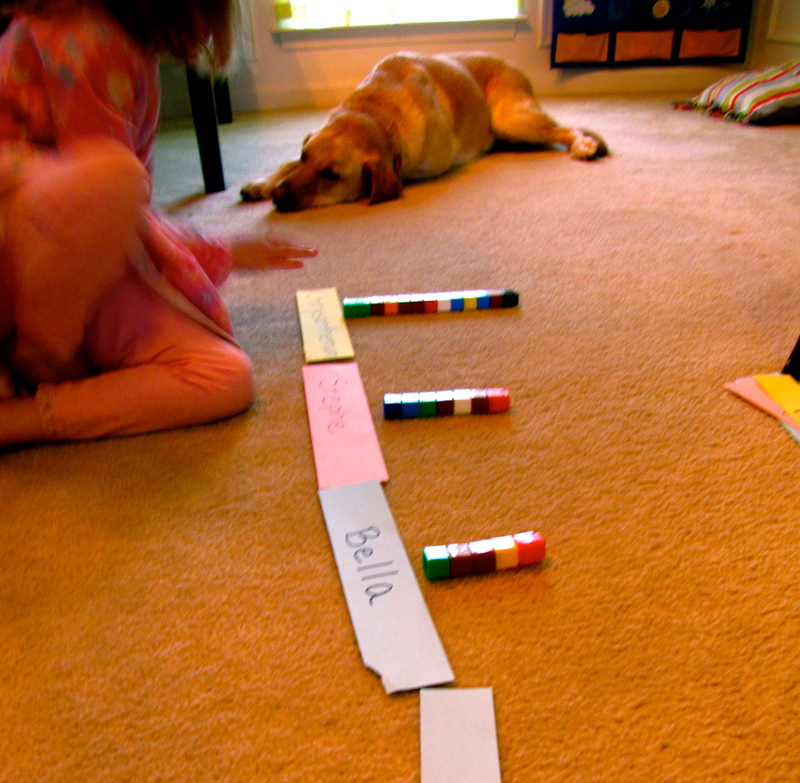 Next we did a math activity. We took our name strips and used cube counters and made a stack for each name, one cube per letter. Then we ordered them from most to least. Of course, Chrysanthemum’s was the longest. Next, I gave her a card with a, e, i, o and u on it and we identified the vowels in all of the names, putting a cube on each vowel. We sounded out the names without their vowels. They all sounded very silly! This attracted the attention of my 7 year old as well and we all went around calling each other by our vowel-less names for a while, followed by fits of giggles. Try it, it’s fun. This reminded The Queen Bee that there is a song on one of The Letter Factory videos about vowels. It was awesome to see her connect this to what we were working on. A lightbulb moment. 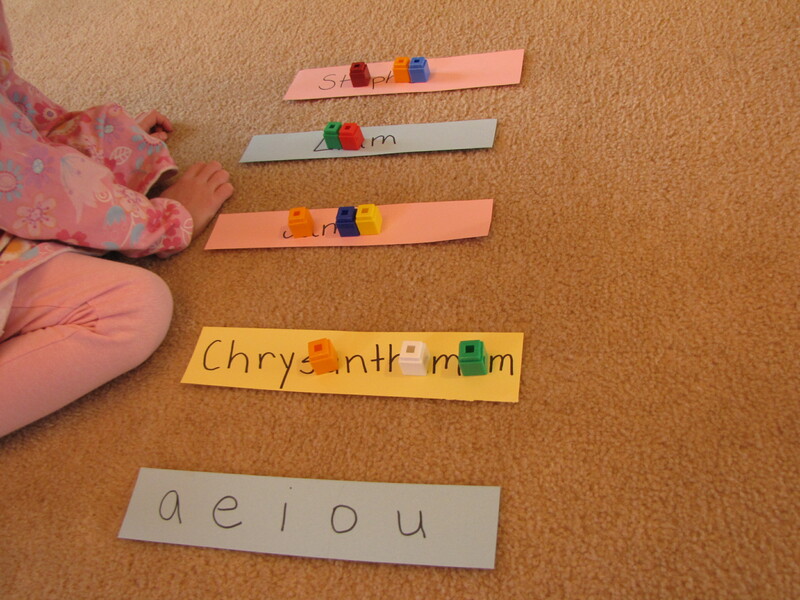 She even noticed that the y in Chrysanthemum’s name was making a vowel sound so we talked about the “sometimes y” rule. She then pulled out the cards from a Hello Kitty matching game and made up her own game with the name cards. She matched a Hello Kitty card that had the same beginning sound as each name (Daddy/drum, Bella/bird and so on). While we read Chrysanthemum, The Queen Bee wore her mouse ears headband that we made during our week of learning with another famous mouse, Angelina Ballerina. 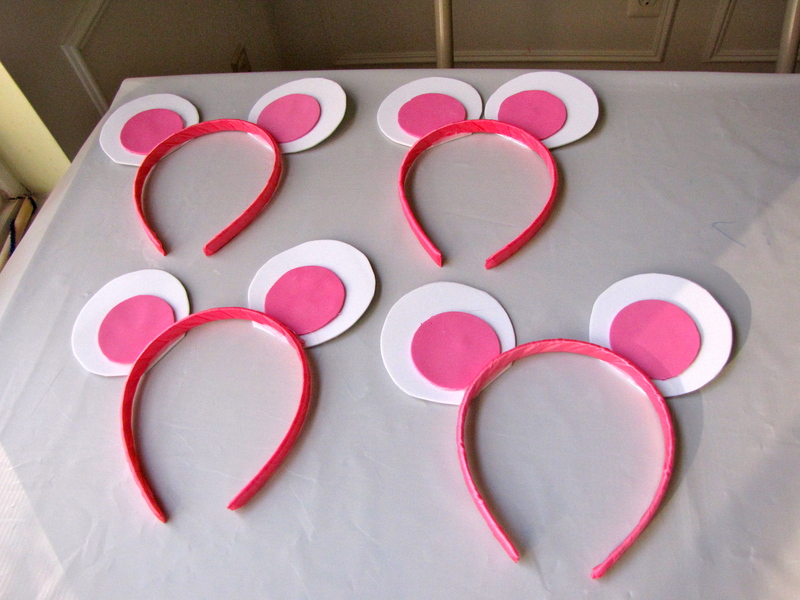 The instructions for making them are in my Angelina post. 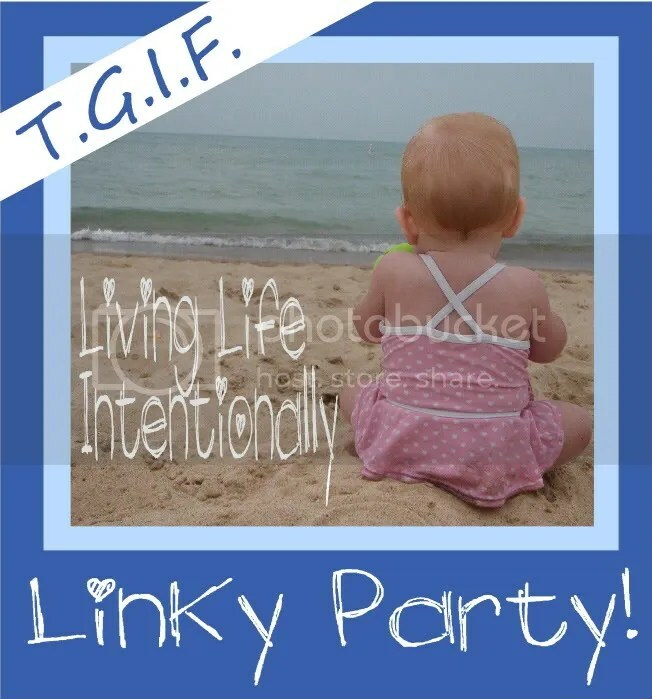 For more fun activities with literature, including another Kevin Henkes favorite, Lilly’s Purple Plastic Purse, click over to my Learning with Literature page. 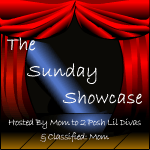 Workboxes continue to be a popular topic on various homeschool forums, websites and blogs and my workbox page is consistently visited on my blog. So I feel obligated to tell you that my workboxes and I are currently taking a break in our relationship. And he read the list himself and proceeded to get to work. 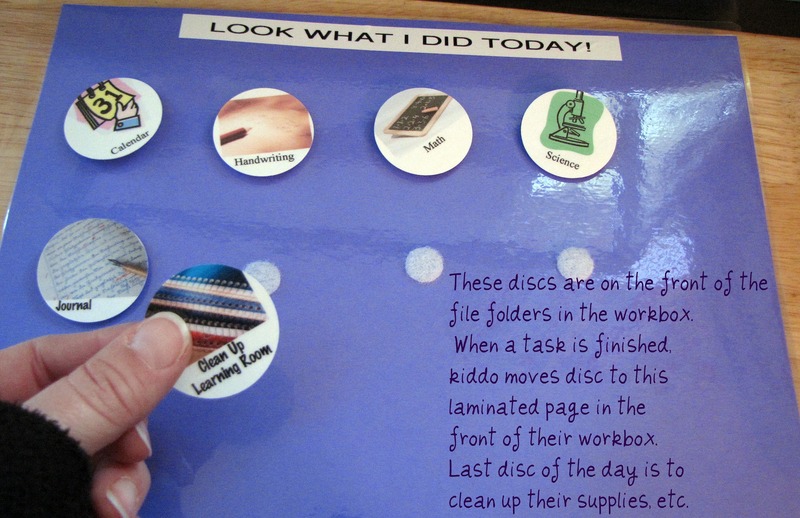 It dawned on me that he no longer needed those task discs with little pictures on them any more. His reading was proficient enough. And as long as he knows at the start of the day what he is expected to do, he transitions easily from one subject to the next, without whining, fussing or collapsing onto the carpet in a dramatic fashion. Soon, this “list” morphed into a weekly calendar. I print out a blank weekly calendar from iCalendar and write his assignments on it. That’s it. Nothing fancy. I do this on Sunday night or Monday morning, copying most of it out of my planner, which also contains stuff for The Queen Bee and general notes to myself on what I want to do that week, learning wise. At the bottom of each day on the calendar, I write his outside activities: basketball practice, Lego club, a playdate with a friend, a drop off visit to Grandma’s. He looks forward to these things and it keeps him from asking me repeatedly what we are doing later in the day. The Queen Bee, my 5 year old, never took to the workboxes much. She would pull out the stuff that looked fun and work on it, then refuse the rest. That actually was fine, as it helped me do some “research” into her learning style, what types of activities appealed to her, etc. For now, I just verbally let her know what I have planned for her that day and then we roll with it. She only has 2 or 3 tasks per day, we aren’t super structured since she is only in kindergarten. Plus she spends a good amount of time each day on educational computer sights, bringing me books to read to her and playing with math manipulatives. I think the workbox thing was more structure than she really needed. 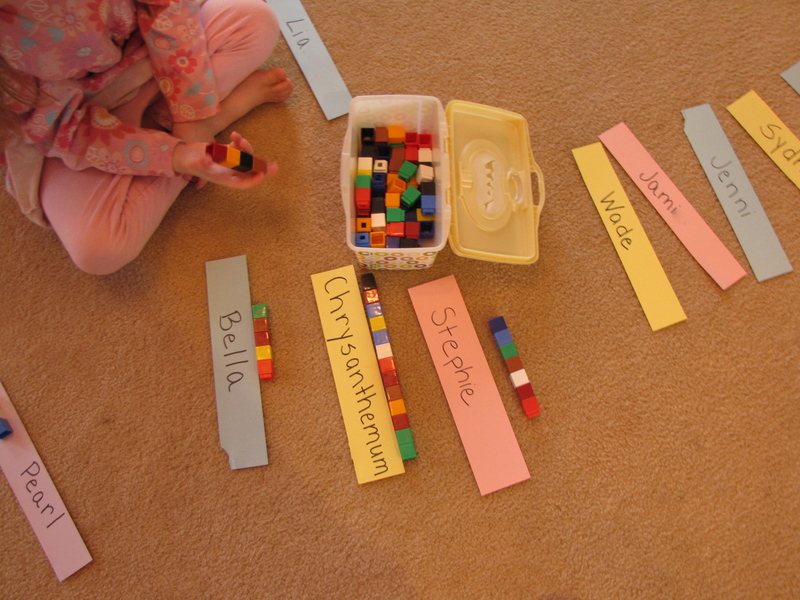 When we were new to homeschooling, workboxes helped me to be organized, and to feel good about having a plan: Yes, my children will learn something this week. I won’t be collapsing under the chaos of a shrieking toddler, a mound of laundry, endless preparations of snacks and meals, and so forth. So there you have it. No more workboxes, at least not right now. Perhaps we will return to them someday. Perhaps my three year old will be a workbox kind of guy when he starts doing schooly stuff. We’ll have to wait and see. 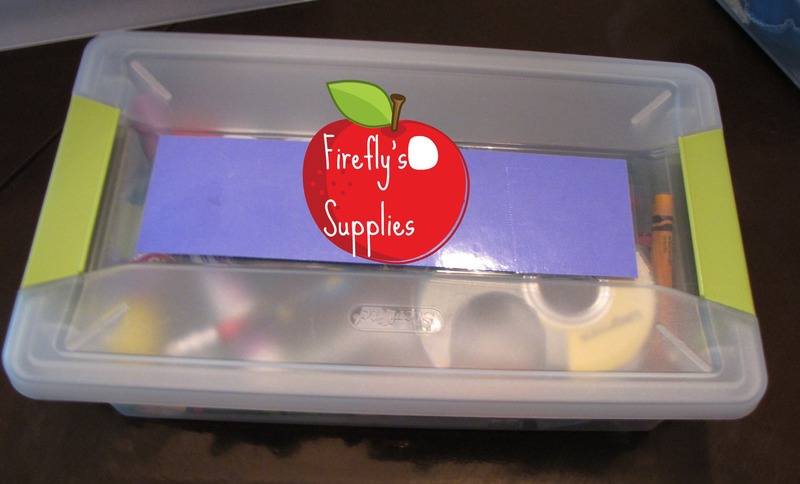 One more thing: Having a little supply box for each child has been a lifesaver. I’m not sure how or why but my kids keep track of these things. 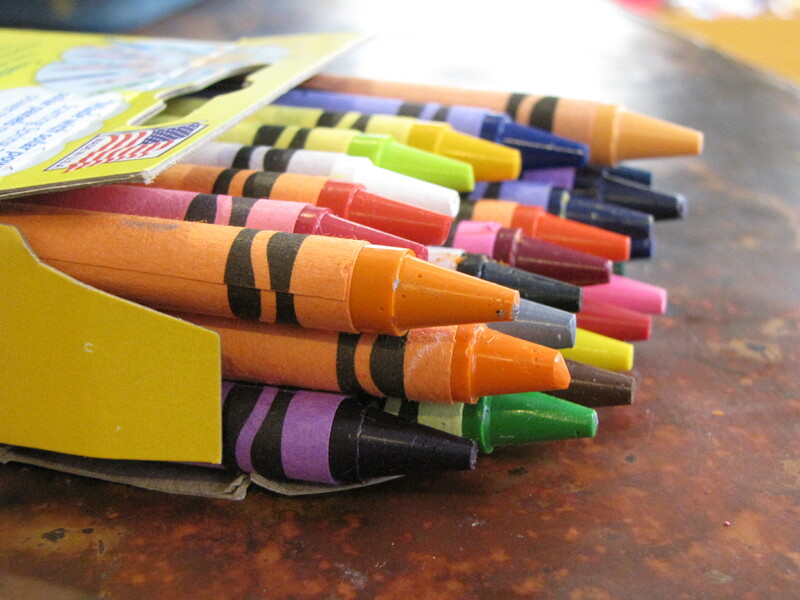 They put their pencils, crayons, erasers, scissors, glue, etc. back in their boxes each day with little encouragement from me and this has made life so much easier when we set to work on an assignment or a project. So we will keep using these wonderful little boxes. So simple, but such a timesaver. 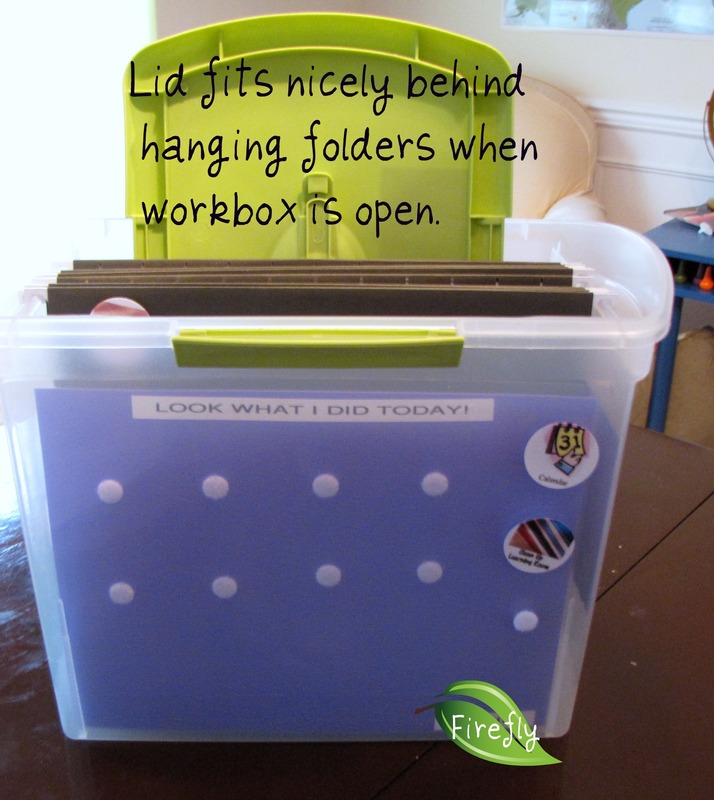 You can read more about my other workbox posts here to see how they evolved in our house. I have so many fun things planned for the Creekside kiddos and, of course, I’ll be posting them on the blog, but here’s a sneak preview. Yes, we can, my dear, and many more too. Fancy Nancy, by Jane O’Connor. 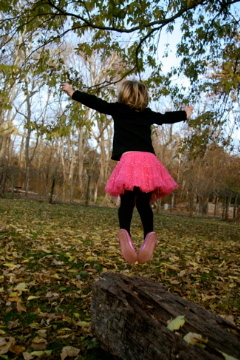 And of course, Pinkalicious, by Victoria Kann. The Snowy Day, by Ezra Jack Keats. 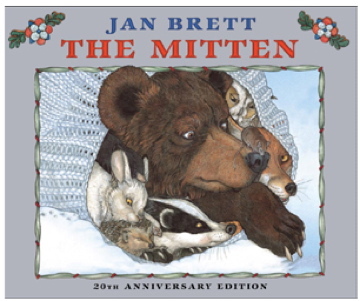 The Mitten, by Jan Brett. For science, we’ll begin studying Astronomy. I couldn’t find a curriculum that quite fit our interests and learning styles, so I’m putting one together and I can’t wait to share it with you all. It will have lots of hands on and experiential activities, including experiments, field trips and games. 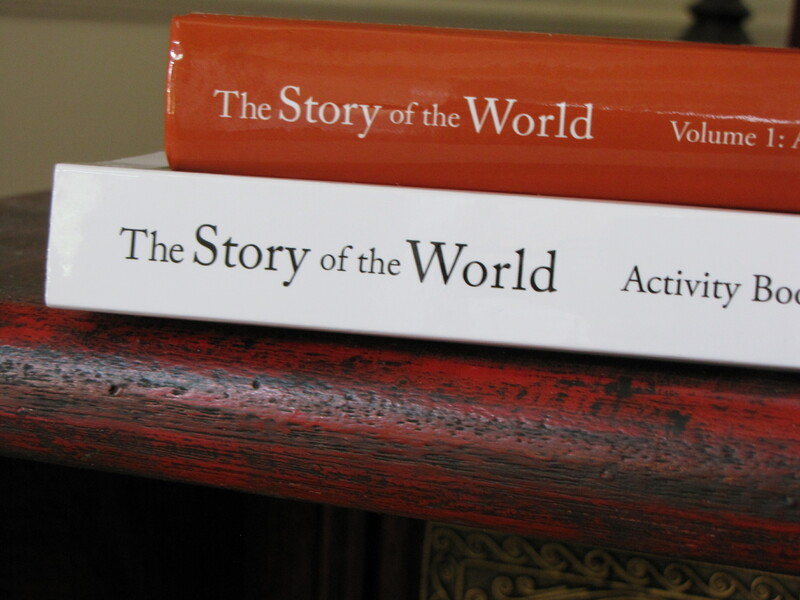 For history, we will pick back up where we left off with our Ancients studies. 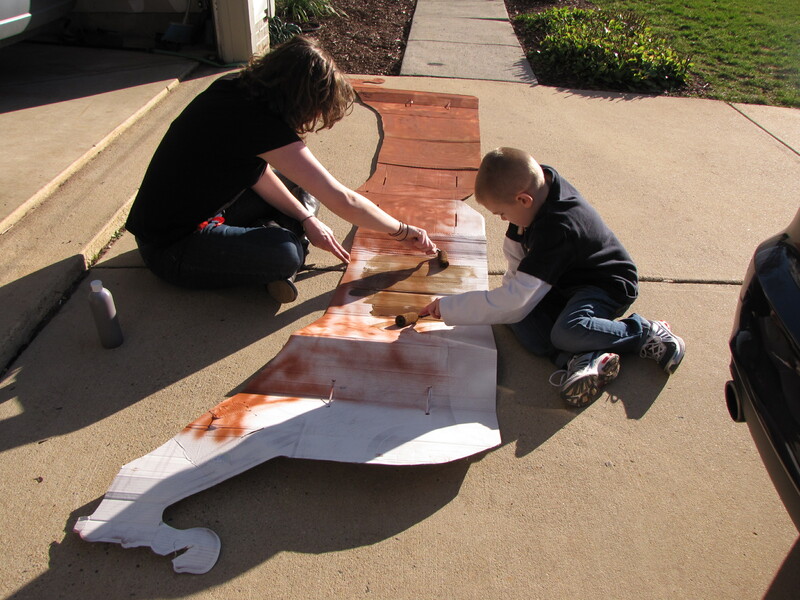 Lots of fun projects are planned to keep the kiddos interested and engaged. We’ll be learning about the ancient Phoenecians, Greeks, Romans and more. 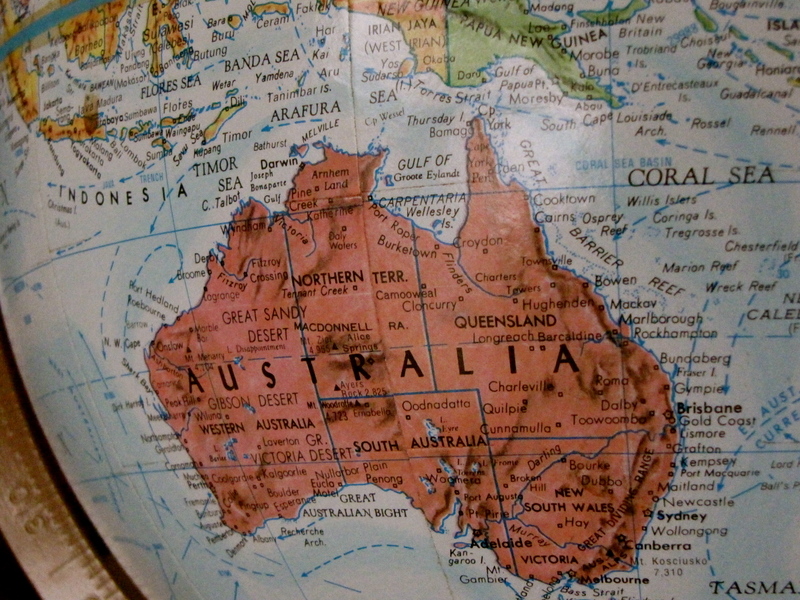 We’ll also be doing a unit study on Australia. This idea sparked by seeing how fascinated my kids were, especially my 5 year old, with all of the wonderful animals we learned about in Africa via our ancient history studies. I decided to use the plethora of unique and interesting Australian animals to launch us into learning about the continent of Australia. We’ll do some geography, read some wonderful books and and much, much more. I’m still gathering resources for this unit study so if you have a resource about Australia that you love, please share it with us. We’ll also be re-constructing our Hot Chocolate Cafe from last winter, this time with math activities that mirror what we’ve been working on this year: recognizing coins and their values for my 5 year old, adding and subtracting money for my 7 year old. I’m also trying to ready us for the long winter ahead. We all typically get stir crazy from being in the house too much. 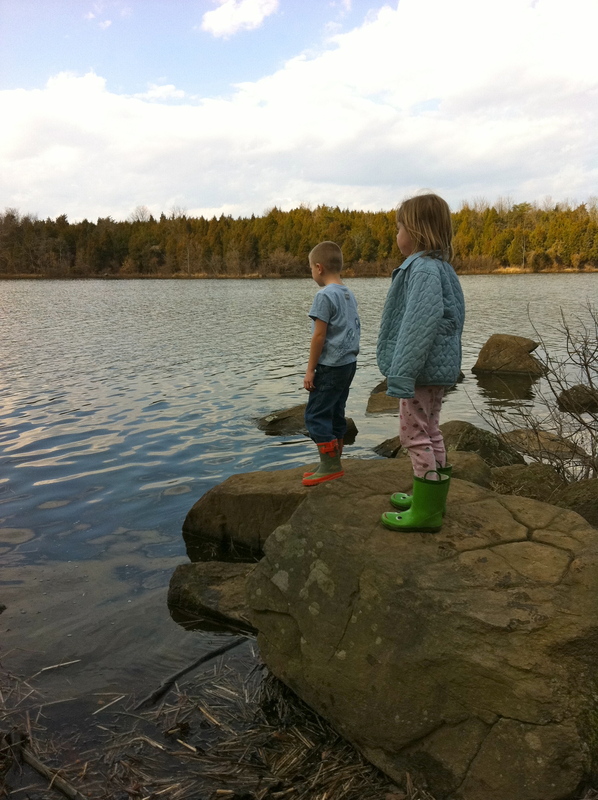 And we certainly had the mid-winter doldrums that many homeschooling families experience last year, our first year homeschooling: where everyone is grumpy and uncooperative and not really focused. Even the Mommy. 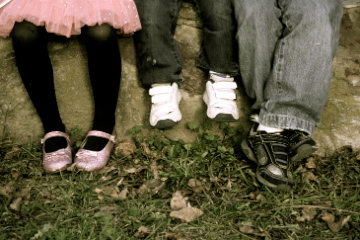 This year, I’m ready to (hopefully) recognize those mid-winter homeschooling blues before they hit full force and switch gears to include more field trips and more opportunities for indoor active play (think the indoor pool at Grandma’s retirement community, the gym and track at the community center, the play area at the Children’s Museum). 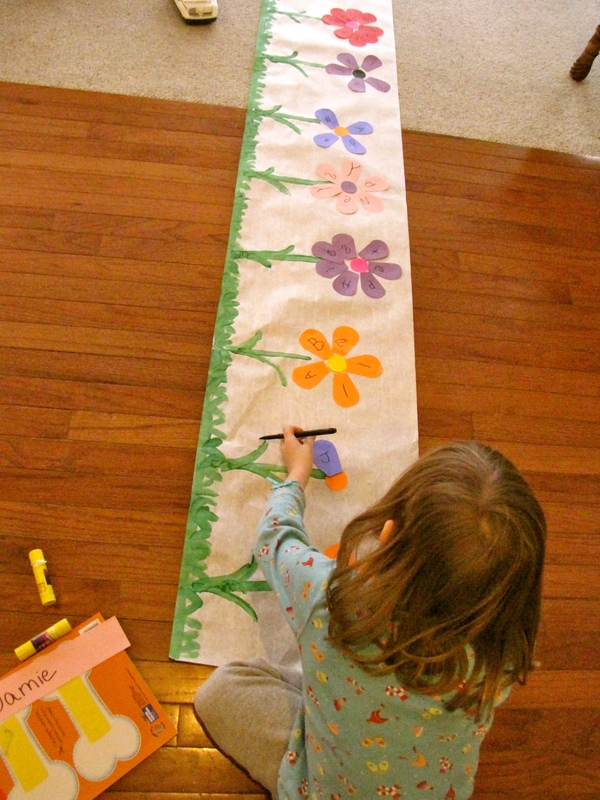 We’ll do more art projects and crafts. And, I know I say this every year and then chicken out, but we’ll just go outside anyway, even if it’s cold, we’ll bundle up and go, even for half an hour. Hmmmm, maybe I should start with 15 minutes, though it seems not worth the effort of getting everyone bundled up to go outside. I’ve started a Pinterest board to gather ideas for our Winter Bucket List and hope to turn this into something visual for the kids to hang on the wall or something, then we can pick weekly, or more frequently, as necessary, something to break up the monotony of winter. All of this and more will be coming up on the blog. 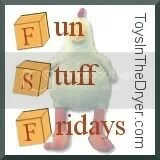 I’ll post the details of each of our projects and learning adventures with pictures and resources. Happy New Year to all of you and thank you for reading, for commenting and for helping this little blog to grow over the past year. 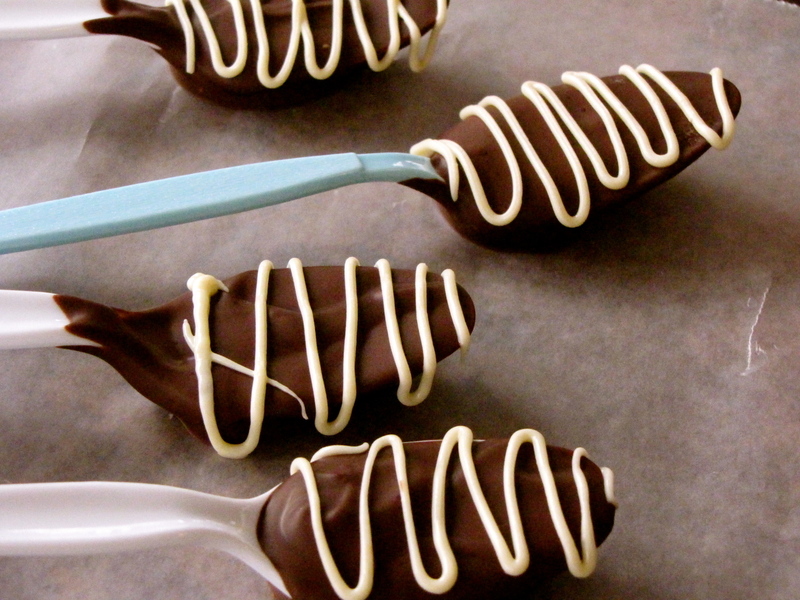 My family is on a big hot chocolate kick lately so I’ve been having fun experimenting with new homemade mixes as well as fun fixings, like chocolate dipped spoons. 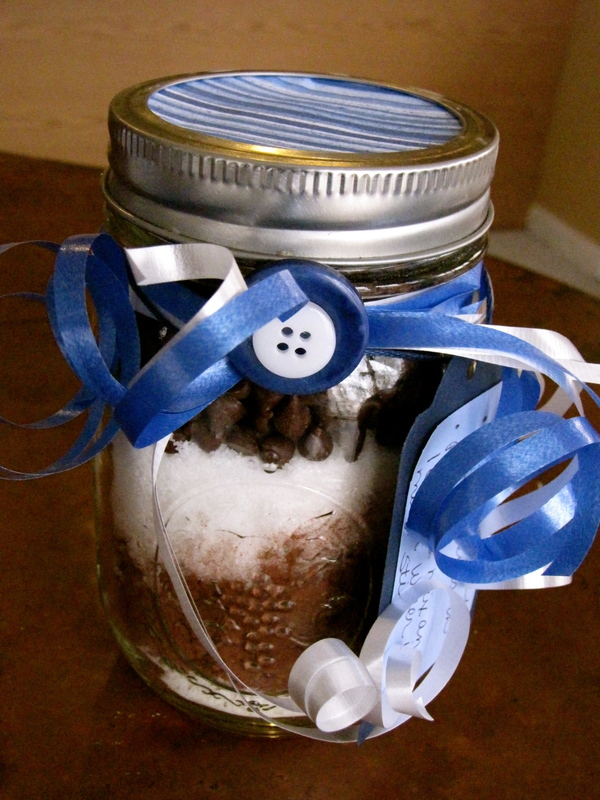 I made some mason jar winter hot chocolate layered mixes, packaged with curling ribbon and a couple of hot-glued buttons. 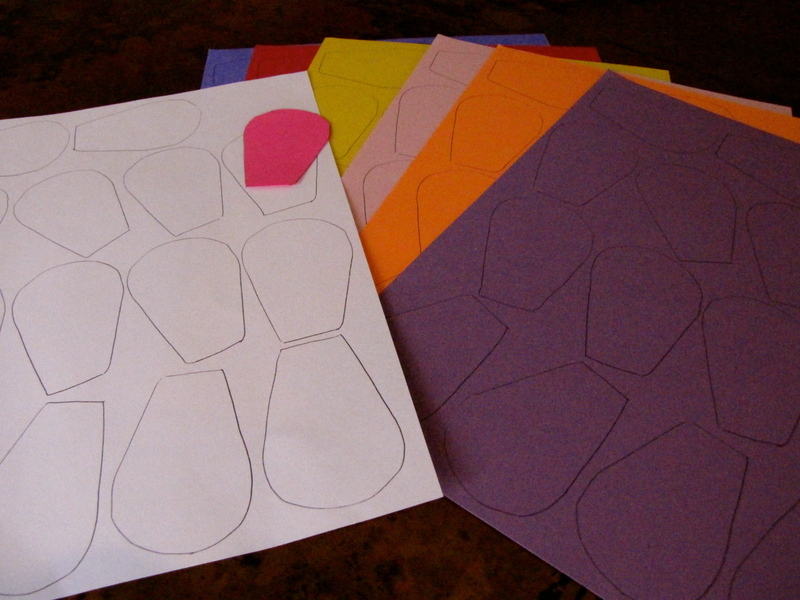 A circle of scrapbooking paper covers the lid. 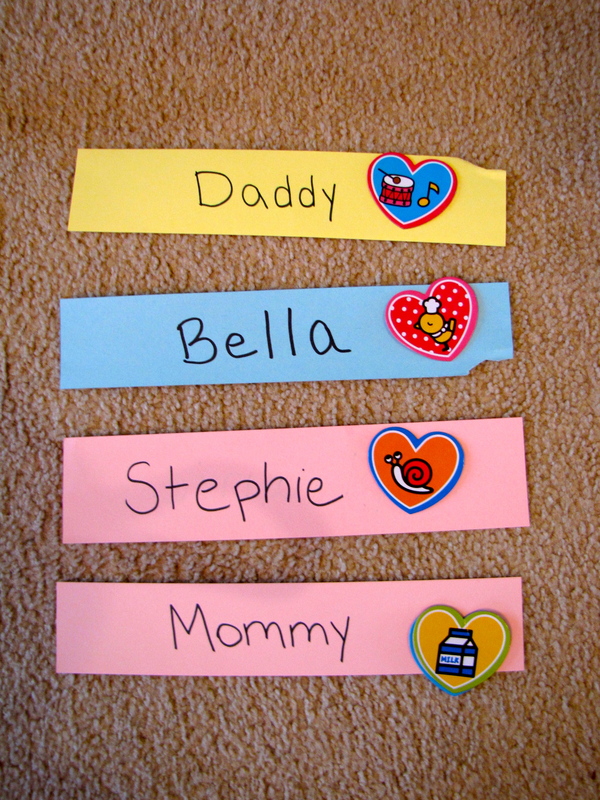 I hand-wrote the tags and cut the tags using my scrapbooking tag punch. The challenge was making these, as well as the fixings (see below) without having to go to the store because I didn’t feel like getting out of my pajamas for a few days between Christmas and New Year’s. You understand, don’t you? The spoons were leftover plastic spoons from various packages from birthday parties and such. 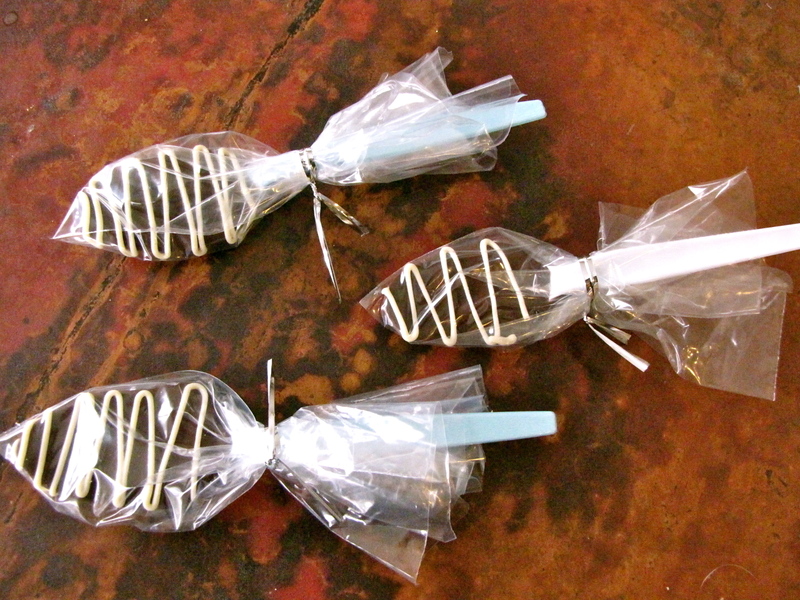 I melted about a half cup of chocolate chips in the microwave, dipped the spoons in, let them dry on wax paper. Then I melted 1/4 cup of white chocolate chips, put them in my icing decorator and drew the squiggly lines. To package them, I snipped off the zip-lock portion of a zip-lock baggie, trimmed it a bit to fit, then used some silver twisty-ties to close the bag around each spoon. I made these to give to some friends and family that we will see on New Year’s day. 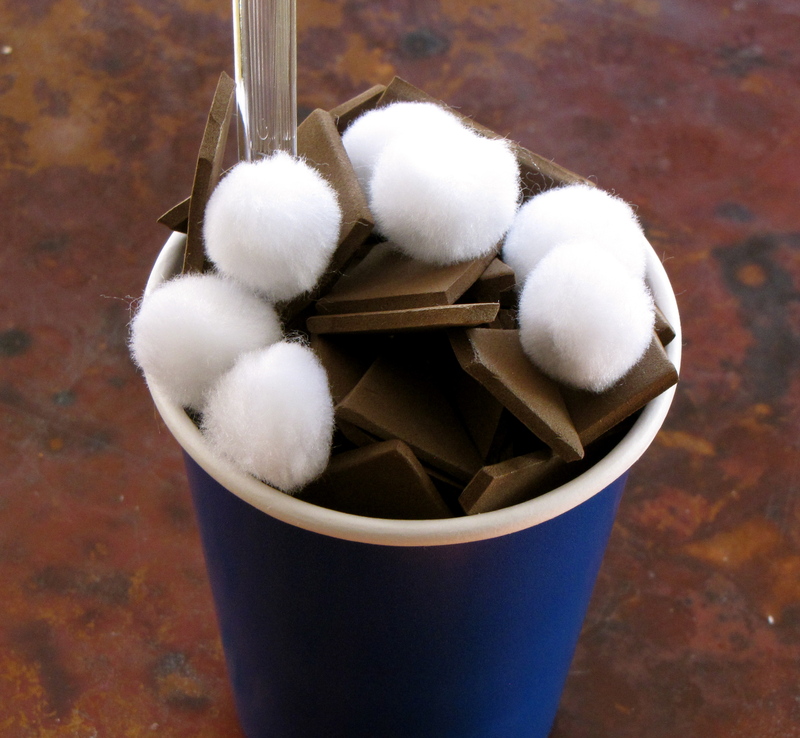 Each person gets a jar of hot chocolate mix and two spoons. 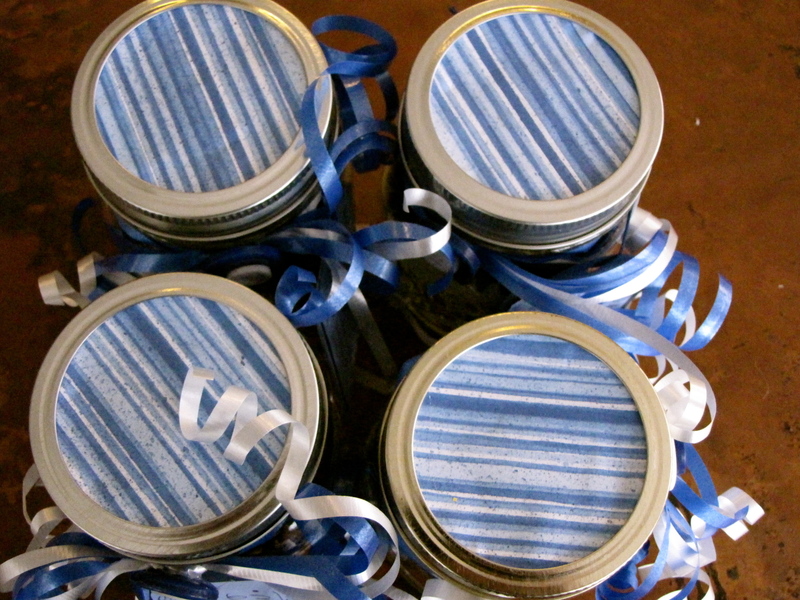 I hope to make some Valentine themed jars soon. I also made a big batch of the hot chocolate (doubled the recipe) in a giant container to keep in the pantry for the kiddos. The recipe for the layered hot chocolate is here. 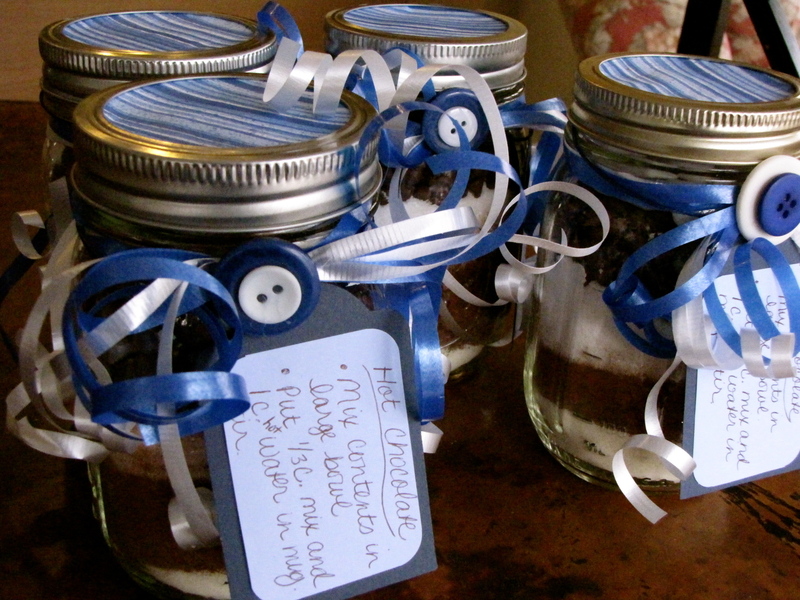 I halved the recipe since I was using smaller mason jars. I used mini-marshmallows instead of peppermint candy canes. Follow me on Facebook or . I'm Julie, the Creekside Momma. I homeschool my 7 and 5 year olds while my toddler hurls Matchbox cars at my head. I blog to stay sane. Thanks for stopping by. Sorry the house is a wreck. All content, including photos, text and videos, is my intellectual property and protected by © copyright. For more information, click on my "contact" tab at the top of this page. The Queen Bee, she’s 5.